N-Acetyl Tyrosine is an acetylated derivative of the amino acid L-tyrosine. 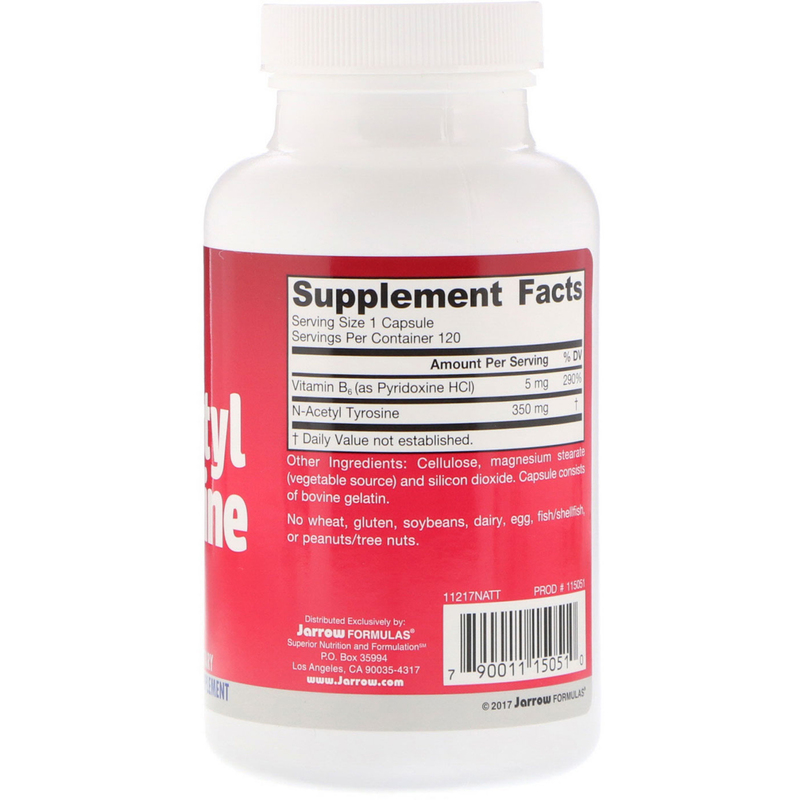 Ordinary L-tyrosine is less stable and also less soluble in water, which may result in reduced bioavailability. Acetylation enhances the solubility and stability of certain amino acids. 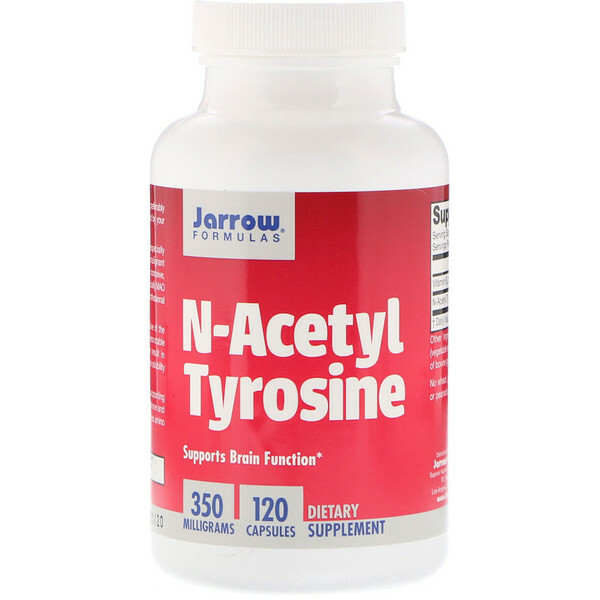 N-Acetyl Tyrosine supports brain function by supporting the synthesis of the catecholamines norepinephrine and dopamine (neurotransmitters). Vitamin B6 enhances amino acid metabolism. Usage: Take 1 capsule 1 or 2 times per day, preferably with juice on an empty stomach or as directed by your qualified healthcare professional. Note: If you have a medical condition (especially bipolar, high blood pressure, or a history of malignant melanoma), are pregnant, lactating, trying to conceive, under the age of 18, or taking medications (especially MAO inhibitors), consult your qualified healthcare professional before using this product.